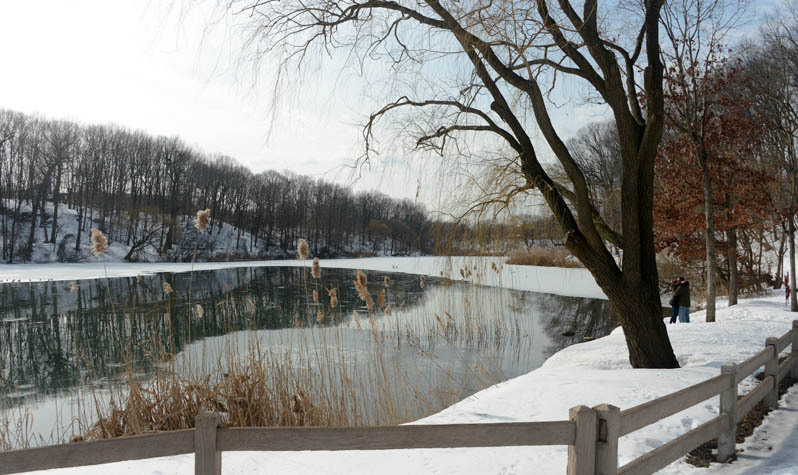 Oakland Lake at Alley Pond Park in Oakland Gardens. Photo via the NYC Parks Department. A winter weather advisory warning of powerful winds, as well as snow and ice accumulation, is in effect for Queens and the rest of the city, according to the National Weather Service. Queens residents will be subjected to 35 mph wind gusts and up to 4 inches of snow and ice beginning at 6 a.m. Tuesday. The winter weather advisory is in effect until midnight Wednesday. The NWS also warns the borough’s drivers to plan on slippery road conditions. Subway and bus commuters should also anticipate delays caused by road conditions or snow on outdoor tracks. Any snowfall will most likely turn into rain by the evening commute, according to the NWS.